Luca Minaldi is powerful, rich and mesmerizing. But he is also a reclusive enigma. He lives in Malta, a fairytale-like place filled with sunshine and sea, beauty and secrets. And Luca’s darkest of secrets is the best kept of them all. Eva Talbot is spending the summer in Malta to finish up her doctoral dissertation. When she meets Luca, a mysterious and handsome shipping magnate, there is an instant attraction. He has a disturbing and beautiful energy that she has never felt before. But she senses the darkness that lives within him. Eva is hired to care for his mother, a woman who suffers from dementia, but it is Luca who Eva will eventually risk everything to save. She desperately wants to reach inside of him and fix what is broken, while at the same time, she knows that she is falling for him. Her life becomes a swirling chaos of darkness and romance, of secrets and mystery. And the question that emerges will become the most important answer of all. 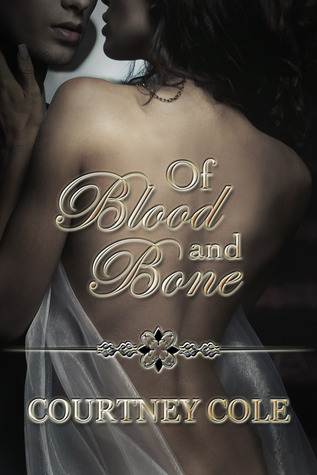 I was provided a courtesy copy of “Of Blood and Bone” for the blog tour in exchange for an honest review. Can I say that I loved this story, from the very beginning? I knew it was going to be different, just by reading the description of the book and that is why I chose to be apart of the blog tour. I enjoy a book that has paranormal to it and mystery/suspense as well. “Of Blood and Bone” is a story of Luca Minaldi who has been suffering from a curse since he was five years old. He would black out and not remember what he did once he blacked out. All he knew was having blood on his hands and knowing he did something that was awful in his town, due to the fact girls end up coming up dead. Dr. Eva Talbot who is visiting in Malta for her school to write up how people act in Malta was only there for a short time. She ends up falling for the handsome, mysterious, Luca. She is warned that Luca keeps to himself in town, and only visits for meetings, since he has a business, he needs to maintain control of with his brothers. Luca ends up falling for the beautiful red-headed doctor, and he knows he should stay away from her, but he’s having a hard time. Eva ends up having to help Luca with his Mom since she is having episodes of dementia and she’s been trying to hurt herself. Eva is not a practiced doctor in Malta, but she said, she could look after Luca’s Mom. Luca’s Mom, warns her about Luca, being a monster, but does not believe her, until one night in Luca’s home, she gets the chance to see the other side of Luca. Now, Eva must help Luca and find out what is wrong with him. When she finds out the truth, it may be too late to save him, and the one person Luca has always trusted has been lying to Luca and is up to Eva to save Luca from himself and his close friend. I LOVED this story. It is a different story to the paranormal. It had a mystery that I could not even figure out until Eva found out the truth. I loved Eva and Luca. They both stole my heart the minute they were introduced. Luca with his mysterious, sexiness and Eva with her beauty and caring towards Luca, even when she first met him. She is one strong-willed female character until Luca comes around. He brings another side to her, and she does the same thing to him as well.